Here is photo, Fresh Mangoes from Haiti. This type of mango is called Mango doudous. it is really sweet and juicy. Some of the most delicious Caribbean mangoes form from Haiti. 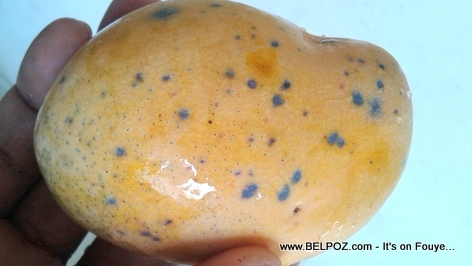 If you've never tasted Haitian mangoes, then you don't know what delicious means.